Difficulty opening your mouth, pressure and pain in your jaw, and ear problems can all signify TMJ, or Temporomandibular Joint Disorder. Women are four times as likely to experience TMJ, the American Chiropractic Association reports. Our chiropractor can alleviate the pain and pressure associated with TMJ while realigning the jaw to treat this health condition. 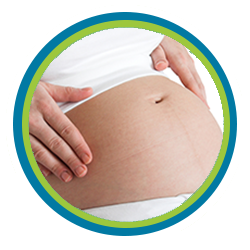 Learn more about how our staff at Secrest Family Chiropractic, PC, treat TMJ. Some of our Scottsdale, Tempe, Mesa, Chandler, Phoenix, Paradise Valley, and Fountain Hills, AZ patients complain of a loud clicking noise when they open the jaw, or say that they cannot fully open their jaw. Other patients report jaw pain radiating outward along their neck, face, and shoulders. Sore temples, ears, jaw line, and face muscles can also accompany TMJ. Our chiropractor, Dr. David Secrest, DC, knows how frustrating the chronic aching of TMJ pain can be, especially if it makes it difficult for you to eat without pain. When you visit our Scottsdale chiropractor, Dr. David Secrest, DC, we will perform a thorough examination to see what could be contributing to your jaw pain. We will then develop a care plan to reduce jaw tension, realign the jaw if it is necessary, and show you how to stretch tight muscles that are keeping your jaw in pain. We can also retrain the jaw's movement pattern to prevent painful joint movements. By applying ice and heat, gently massaging tight muscles, and making targeted chiropractic adjustments, we can reduce the pain and pressure associated with TMJ. Trigger point therapy, massage, and kinesiology are just a few of the complementary healing techniques that we at Secrest Family Chiropractic, PC, use for TMJ sufferers. 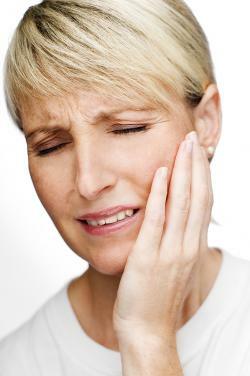 Once we get the inflammation and jaw pain under control, we can work on preventing TMJ from coming back. When we show you ways to stretch tight jaw muscles, we help you combat jaw tightness at home. If we find that some muscles are too tight and others too loose, we can demonstrate strengthening exercises that help create a healthy jaw. Since we know that poor posture can make TMJ worse, we can also realign the spine to help you enjoy better posture and reduce neck pain associated with some cases of TMJ. By showing you proper posture and posture training exercises, we can help you keep TMJ pain at bay after we have treated your initial health complaints. We are located in South Scottsdale and serve the communities of Tempe, Paradise Valley and Fountain Hills. 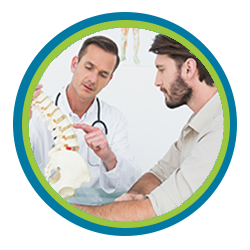 If you are tired of tightness in the jaw, ear problems, and neck problems, we invite you to contact our chiropractor, Dr. Daniel P. Secrest, DC. Simply call (480) 994-4411 or sign up using our web form to schedule a complimentary new client consultation and learn how we can help you. "Dr Dan had worked miracles with the bulging disc in my back - but when I had sudden TMJ problems, I had no idea the results would be so dramatic! My jaw was not only 'popping' every time I would chew, but it would slip out of position every time I tried to speak. Luckily I noticed treatment for Scottsdale TMJ sufferers listed on Dr Dan's website while showing it to a friend. I had no idea Dr Dan would be able to help with this, but an ENT Dr could not see me for weeks - so I went in to see if Dr Dan could help until I could get to the ENT Dr. After ONE visit with Dr Dan, my jaw is holding steady back in place! I am able to eat without the constant popping, dislocating, and cautious chewing. Needless to say, I canceled the appointment with the ENT Dr. and as I've now learned with my back and jaw - it's better to go to Dr. Dan first if I want immediate, long-lasting, non-invasive results." "After more than 10 years of unpredictable, sometimes severe and prolonged pain from TMJ, I am finally feeling "cured," thanks to your treatment. I have tried painkillers, muscle relaxants, various dentists and many other methods, all to no avail. Nothing have worked as well, for as long, as the work you have done for me. I was skeptical about chiropractic treatment, but now I am a firm believer. The TMJ as affecting everything I did. I cannot thank you enough for your help." "Dr Dan did a great job of trying to understand all aspects which were causing my pain. After being to my old chiropractor, my regular doctor and a pain specialist for TMJ, he was able to finally bring me some pain relief. He told me about 70% of my pain would be gone in 4 visits. After the first two I was already feeling a great improvement. It made me wish I did not wait so long to see him to take care of it. I have since referred my family to see him, and they have good reviews for him as well!"